Pssst! Can you keep a secret? Yes? That's great! Because what I have to tell is so secret, that even I don't know what it is! Honest to God. I did not hear it one day whilst not watching a movie about what it wasn't. If you don't believe me; you best not say anything to Director: Terence Young; and Actors: Michael Caine, Laurence Olivier and Susan George. But only in 1984 and for 94-minutes. To the world: one-time super-spy come soviet-defector, Philip Kimberley (Michael Caine), is as dead as disco. But no. He's back. Back as a new man -- literally -- primed and ready with a plan up his sleeve that will give his new lease of life some extra added wealth. Alright. I'm sure that you're wondering to yourself how Philip hopes to achieve this bold task -- correct? Well, he has a very cunning four-step scheme which plays out as follows. [Step One] Quickly slip away from his KGB chaperons just as soon as he lands on English soil. 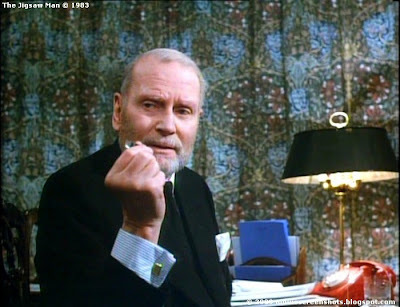 [Step Two] Whilst posing as Sergei Kuzminsky, he'll accost the head-honcho of MI6, Admiral Scaith (Laurence Olivier), and bargain with him a fee for some vital documents of governmental importance. [Step Three] Touch base with his daughter, Penelope Kimberley (Susan George), and lay low for a while. And [Step Four] Retrieve these vital documents from hallowed ground, before arranging with Scaith a point of exchange. Now doesn't that sound like a very straight forward plan to you, dear reader? However, how was Philip supposed to know that Scaith would figure out that he and Kuzminsky are one and the same person? Moreover, how was Philip also supposed to know that two other MI6 operatives, Jamie Fraser and James Chorley (Robert Powell and Charles Gray), would get themselves involved with this dubious ploy, just after Scaith confronts his daughter, Penelope? Still, that's what happens. And that's most probably why what next transpires all goes balls-up when a trade is made. As moles come out to play - bullets make people prey - cars crash like the weather - and two men begin to plan a new adventure together. 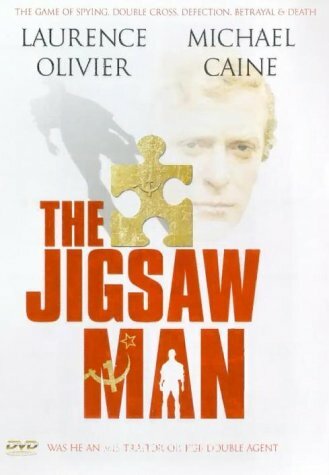 Now I first watched 'The Jigsaw Man' quite a few years ago, and even, then I wasn't too sure if I liked it or not. I remember at the time half of me seemed to have enjoyed it, whilst the other half of me wished that it was a lot better. And do you know what? I still think that now too. Here, let me explain why in an advantage / disadvantage fashion. ADVANTAGE: (1) I thought Laurence Olivier was a hoot in this picture. Heck, everything that came out of his mouth -- either fleeting or in-plot -- was just charming and jovial to listen to. No wonder why the Queen made him a Sir, huh? (2) In essence this is a very fine tale, and it was told in that synthesized eighties manner that is both easy and simple to follow. Not an easy thing to do with a spy story don't you know. (3) By in large I did like the most of the performances when the actors were allowed to do what they do best. Michael is at top form when he is charming and swerve. The same thing can also be said for Robert Powell and Susan George as well. Charles Gray's is always smashing when he plays mannered and baroque. And as I said previously, no wonder why they made Laurence a Sir? DISADVANTAGE: (1) Honest to God, I really do like Michael Caine. In my most humble opinion he is a legendary British icon par excellence. However, in this thriller, his Russian accent was one-half Inspector Clouseau and one-half constipated. Moreover, at the start of the film when Michael dubbed the other actor who played Philip -- Richard Aylen's -- ooop! No. Not right at all. (2) There were parts of the overall narrative that did not lend itself to the overall plot. Now the segments I am referring to involve those scenes that appeared fleeting at best -- like when Penelope's friend was kidnapped, or those incidental 'down-time' snippets. Ooops again! No. Felt too much like padding to me. (3) I'm afraid to say that the 'mole' sub-plot -- plus that whole business with Robert Powell's and Charles Gray's characters -- appeared kind of disjointed and mumbled within the scheme of things -- and never seemed to have a demanding presence as an integral part of the story. Hey, while I am in the mood for typing numbers and spilling beans, let's have some filmic-facts now, shall we? (1) This spy-thriller was based on a book written by Dorothea Bennett, who's married to the director of this movie, Terence Young. (2) Originally this flick was meant to be the third planned collaboration between director, Mike Hodges, and actor, Michael Caine, after they worked so well together on the films 'Pulp' and 'Get Carter' respectively [click on link for review]. It did not plan out like this though. (3) The character Michael Caine plays in this film, Philip Kimberley, was based on the British defector, Kim Philby, who was 'killed off' fictitiously in another of Michaels films 'The Fourth Protocol'. 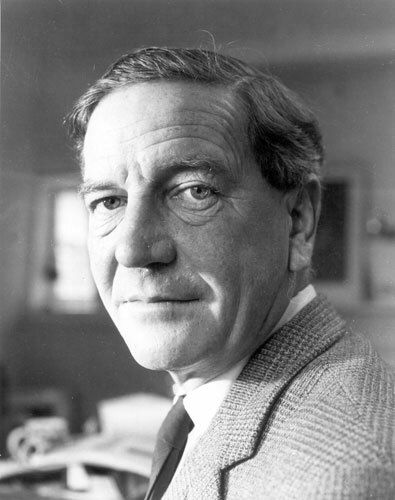 (4) Michael Medwin replaced Sir John Clements when he was unable to play the role of Milroy. (5) Michael Caine and Laurence Olivier worked together on the 1972 Academy Award nominated movie, 'Sleuth'. (6) The actions scenes were recorded in Windsor Safari Park, Berkshire, England. This theme park closed its doors in 1992, and then opened them again in 1996 as Legoland. (7) When the financiers ran out of money for this movie, production had to be halted until they could guarantee to Michael and Sir Laurence that they were going to get paid. Both actors did eventually return to work when $4 million was secured from an international entrepreneur called Mahmud Sipra. (8) This was the last feature film for actor, Bill Shine. All in all 'The Jigsaw Man' is a mixed bag at best. If you like your eighties spy-thrillers simple and coy -- then this is defiantly one for you. But if you prefer your espionage escapades full of slick action and excitement a plenty -- errr... your sh*t out of luck. Try to think of this movie as a cross-between a 'Roger Moore' James Bond film and a toothpaste commercial. Adventurous --- and minty fresh.